PRETTY WILD THINGS: Accessorize - Lychee Sorbet ultimate travel collection! 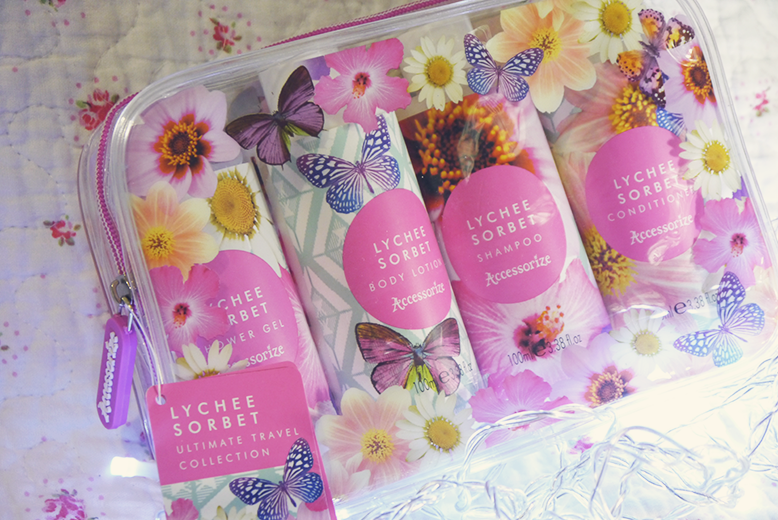 Accessorize - Lychee Sorbet ultimate travel collection! 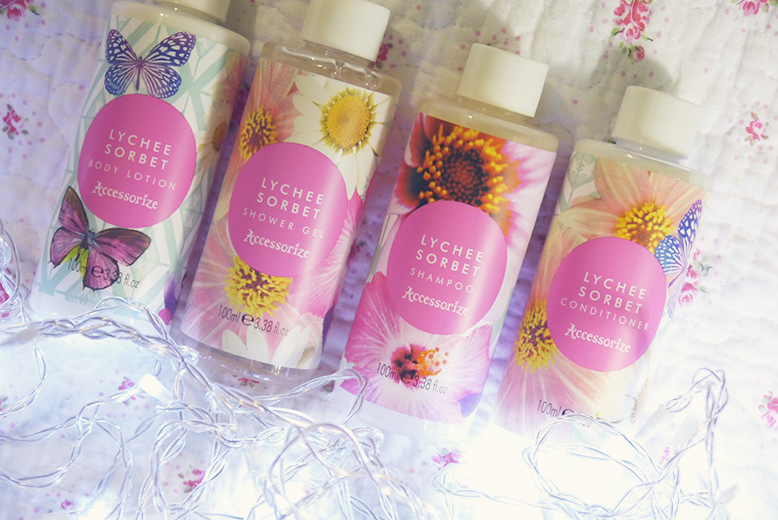 The final instalment in my Accessorize Lychee Sorbet reviews, this time a travel wash bag* jam packed with lychee scented goodies. I love the clear wash bag with butterfly and flower detailing, it would be perfect to throw make up in and pop in a handbag so you can see what you are reaching for! You don't often get hair products in sets like these which really sets this apart from other gift sets. I like that it has everything you need in it to pop in a suitcase and have your toiletries sorted, I plan on leaving this bag at my boyfriends so that I don't have to pack separate products every time I travel. 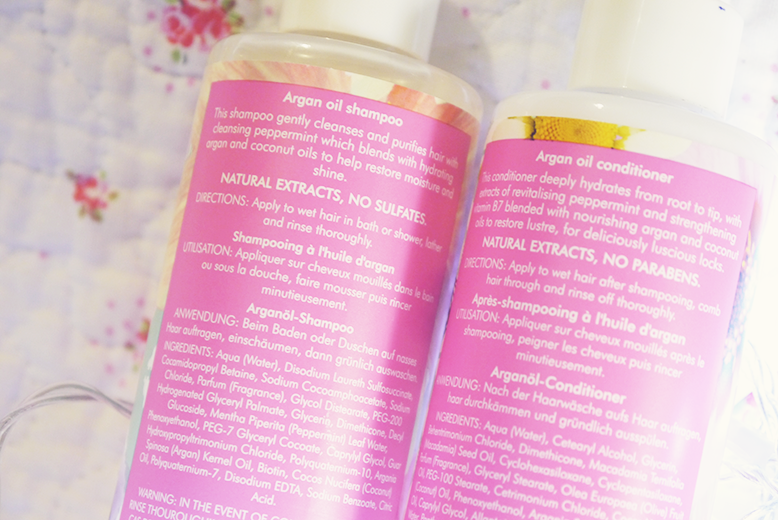 I am really pleased with the quality of these travel shampoos, both are sulphate free and contain argon oil which I think is pretty amazing for a little gift set. They also smell like peppermint which makes your hair feel and smell super fresh! If you're taking part in a secret Santa or know someone who would get a lot of use out of a little travel set like this I would totally recommend it! SEE MORE.